45 Salle Auriol Seattle members participated at Summer Nationals in St. Louis. We earned 5 medals including 2 golds. There were 6 top 16 finishes and 4 people qualified for Veteran World Team. Thank you to all who represented Salle Auriol! 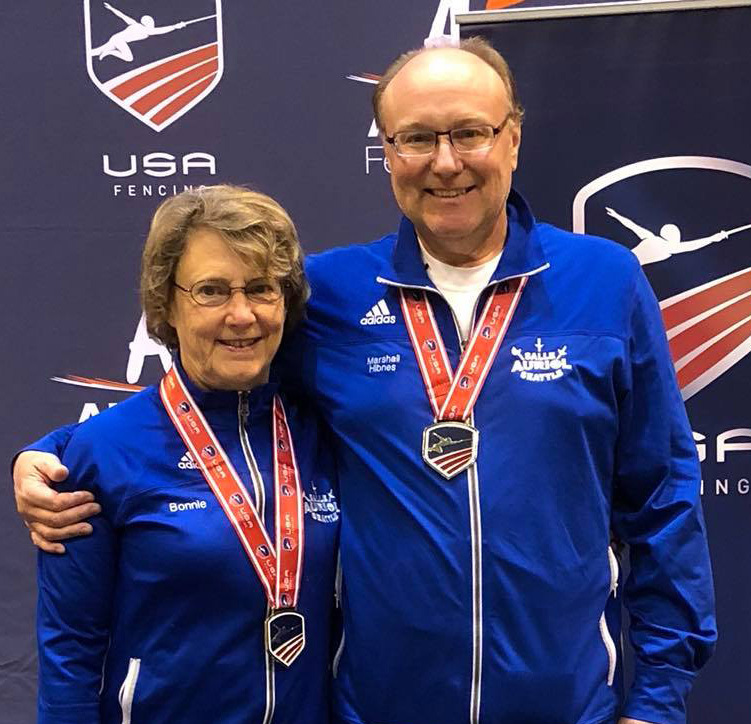 SAS had 4 fencers qualify to represent the U.S. at the Veteran World Championships. The championships will be held October 8-14 in Livorno, Italy. Jan Patterson - Vet 70 MF, won gold at all 3 qualifying tournaments this season repeating his success from last season. Jan has been on 13 world teams. Bonnie Aher - Vet 70 WE, also won gold at all 3 events this season and qualifyed for her 7th world team. 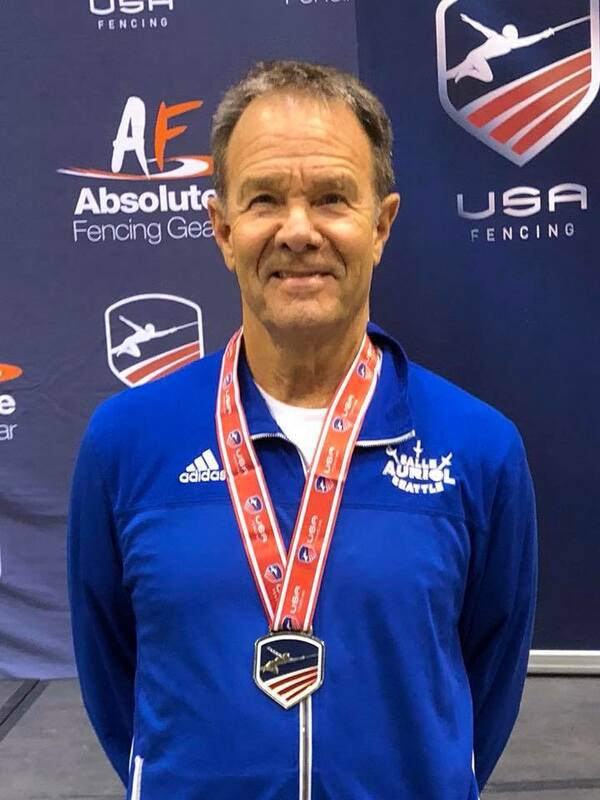 John Varney - Vet 50 ME, won gold at the December NAC and will be representing the U.S. at worlds for the second time. Monica Exum - Vet 50 WE, took silver in the December NAC and the April NAC. This is the first time Monica has qualified for Veteran World Championships. See SAS results for past and present seasons.